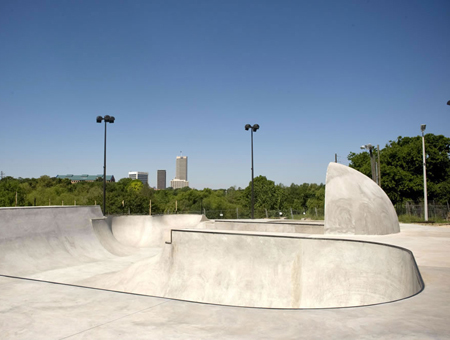 If you dream of riding bowls, grinding rails, or cutting and sweeping through the largest cradle in the world, you can fulfill your desire right here in Houston at the new Lee and Joe Jamail Skatepark. 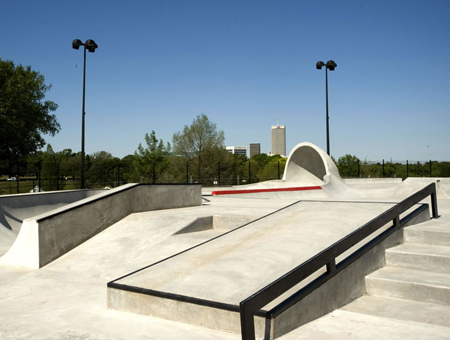 Designed by the premiere skatepark firm Gridline, this state-of-the-art, public 30,000 square-foot in-ground skate park is the first world-class, in-ground skatepark in our region. 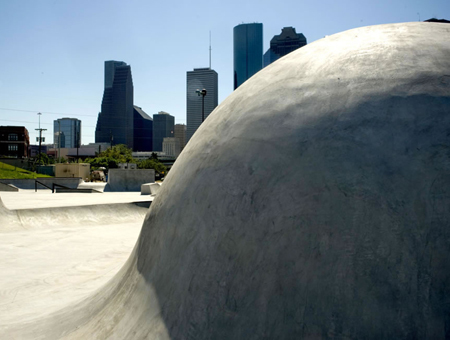 The new facility puts Houston on the forefront of American venues for this fast-growing, dynamic sport. 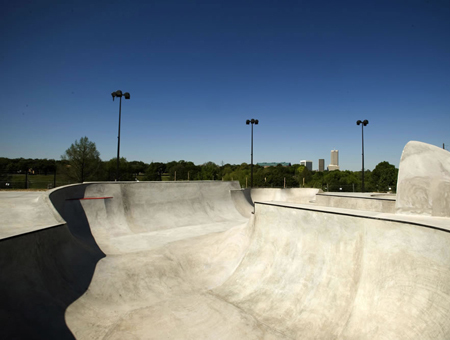 The park has areas for skaters of all levels, from the seasoned pro to the beginner - skaters can work on their kick flip, ollie, fakie big spin...or simply learn to stay balanced! 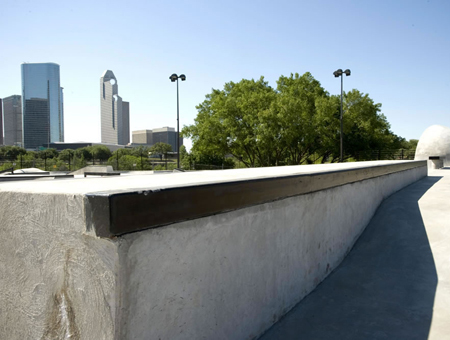 TEXAS LAW (CHAPTER 75, CIVIL PRACTICE AND REMEDIES CODE) LIMITS THE LIABILITY OF A GOVERNMENTAL UNIT FOR DAMAGES ARISING DIRECTLY FROM HOCKEY IN-LINE HOCKEY, SKATING, IN-LINE SKATING, ROLLER-SKATING, SKATEBOARDING, ROLLER-BLADING OR SOAP BOX DERBY USE ON PREMISES THAT THE GOVERNMENTAL UNIT OWNS, OPERATES, OR MAINTAINS FOR THAT PURPOSE. Know your abilities and use the facility at your own risk. Exercise common sense and general courtesy to others. Spectators should watch from the spectator area or outside the fence for safety. 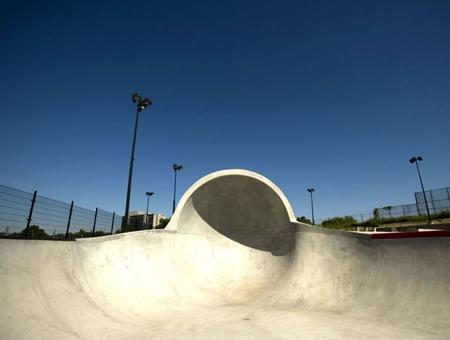 All skaters are required to wear helmets. 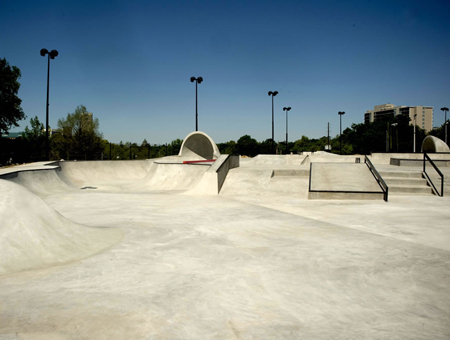 It is strongly recommended that skaters wear protective equipment including kneepads, elbow pads and wrist guards. Bicycles, BMX, scooters, and razors are prohibited. Children under the age of 10 must be accompanied by a parent or authorized adult. Indecent or abusive language or activity which creates a public nuisance, is prohibited. No food or refreshment is allowed on skating surface. 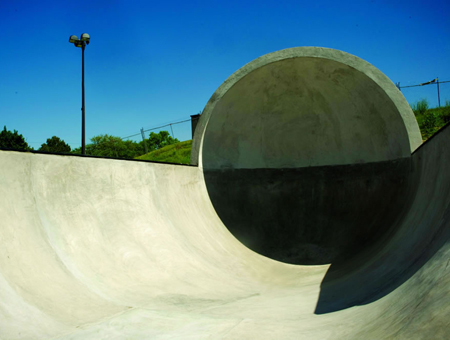 Help keep your skatepark clean by using the trashcans. Use of tobacco is prohibited. 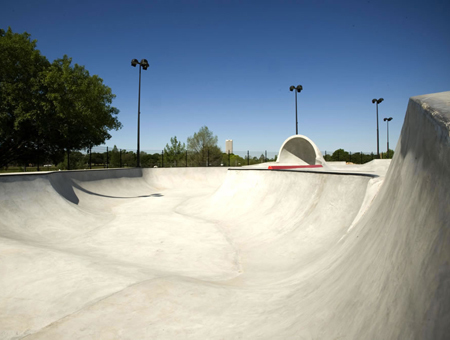 Solicitation of fees or donations is prohibited without prior approval of Houston Parks and Recreation Department (HPARD). 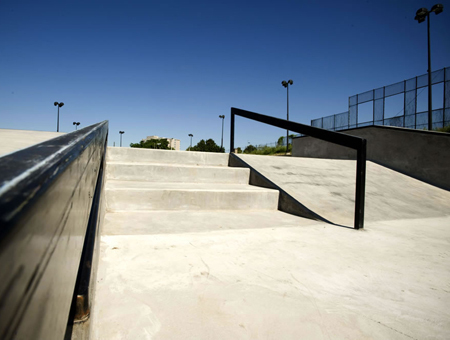 All skaters and patrons must follow HPARD staff directions.